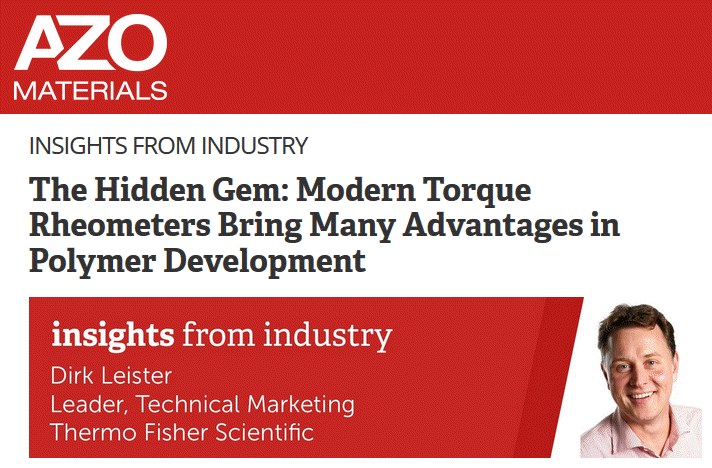 AZoM — In this interview, AZoM talks to Dirk Leister from Thermo Fisher Scientific about the role of torque rheometers in the field of polymer compound development. To start, could you give a brief overview of Thermo Fisher Scientific and the role that you play in the field of polymers? Our company, Thermo Fisher Scientific, is a global leader in serving science. I work in the business that delivers twin-screw compounders, torque and rotational rheometer solutions to the polymer industry to optimize new processes and material development. Rheology and compounding are particularly important in the field of new polymeric materials. Our customers are working every day to make life better in packaging materials, aerospace and automotive components, cosmetics and healthcare products, and almost every other area of daily life by developing new polymer compounds with specific properties. We provide them with the systems to do that. 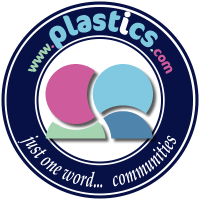 R&D customers in the sectors of novel polymer compounds or polymer additives are often limited by the amount of material available to develop formulations or do pilot-scale production. Our standalone twin-screw compounders offer flexible compounding configurations for small sample amounts making them particularly well-suited for R&D work. They are also available in different grades of steel for the product contact parts so they can be used in more regulated environments such as pharmaceuticals, cosmetics and food applications. Our rheometer solutions help to characterize polymer compounds in a melt or in their final shape to optimize processing or ensure quality requirements. One instrument in particular, the Thermo Scientific™ HAAKE™ PolyLab™ Torque Rheometer combines both worlds of compounding and rheological material testing in one instrument. That’s why it’s like a hidden gem for polymer development and processing; just this one instrument serves many needs in both R&D and QC. How does the HAAKE PolyLab Torque Rheometer assist in the development of new compound materials? Our customer’s daily work in polymer development is to create and test a large number of new polymer formulations to find the optimal material properties. But daily work changes and evolves over time. Having a modular system really helps to keep up with not only today’s tasks but future demands as well. What’s the real benefit of your torque rheometer system for the user? The single biggest benefit of the HAAKE PolyLab Torque Rheometer is its modularity which helps users successfully produce and characterize a large number of samples in a minimal amount of time.